How Starter Checklist is different than P46? How to Process Form Starter Checklist? Where to Submit Starter Checklist? Starter checklist is used to gather all information about a new employee to operate PAYE in case the previous employer has not shared form P45. The starter checklist has replaced form P46 which was used earlier. The information gathered from the checklist can be used by the employer to fill Full Payment Submission for the employee. In the commencement of new employment, an employee needs to be registered with HMRC by the concerned employer. To process this, employer may ask to fill Starter Checklist to the employee in the absence of Form P45. Form P45 carries details of received wages and paid taxes from April 6 of that year during the active employment tenure. This form also presents the tax-code which was operating against the earnings, which is provided by the employer at the time of relieving, which is then presented to the new employer to use and verify the paid tax details. 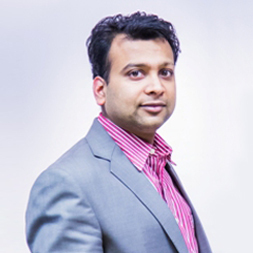 In case of absence of form P45, Starter Checklist is then filled by the employee helps employer to decide and ensure the correct tax code should be applied and correct amount of tax should be computed. 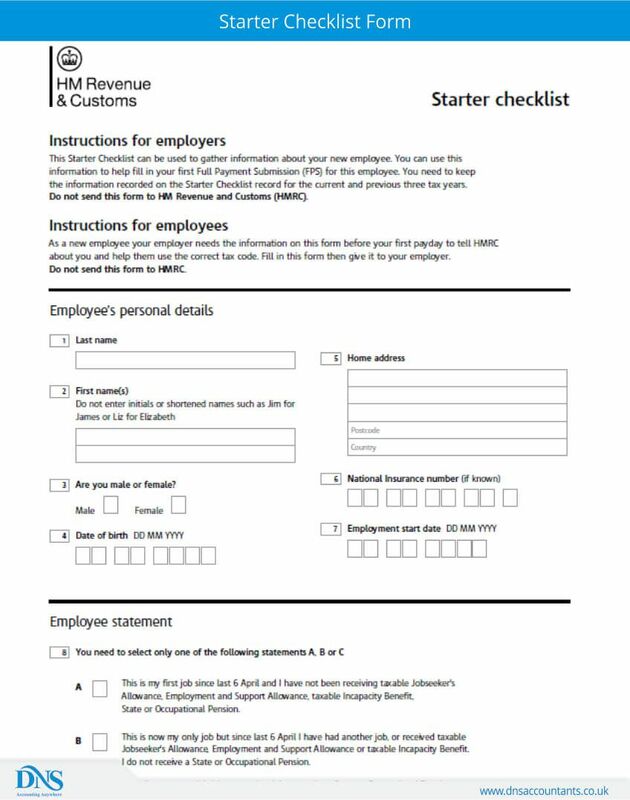 Starter Checklist can be filled online at the very first pay day to HM Revenue & Customs from April 6 to the year of employment. Hence, the most common reasons when one need to fill a Starter Checklist is: on starting a very first job; employer did not issue form P45 for some reasons; on starting a new job after a sound gap hence had not involved in the previous tax year; or starting a new job without leaving a current employment. P46 form was used by the employee to share it with new employer in case the employee did not get P45 from the previous employer. P46 was also known as “Employee without a form P45”. It was required to fill the correct amount of tax to HMRC. It is to be filled in by the employee when they have not received P45 from the previous employer, they did not have any previous job and this is their first job ever. This form was also required if the employee was managing multiple jobs and did not quit any one of them before applying to others. The form consisted of two sections – one was to be filled by the employee and the other one was to be filled by the employer. Job circumstances – The employee should tick on the correct option out of the three given describing their job circumstances and whether they have been receiving jobseeker’s allowance or not. Employees detail – Date of employment, job title and works/payroll number. In addition to this, the employer was also required to fill the employee starter information on HMRC’s website. The employee will get p46 from their new employer in case they have not received p45 from their previous employer. You can download p46 form here for reference; however, HMRC has stopped using p46. So in that case you can download starter checklist form or submit it online. Starter checklist should be used by the employer whenever a new employee joins the organisation. The employer needs to fill information with HMRC as to how allowances will be provided to employee in the starter checklist. If the employee did not receive p45 from their previous employer then the employee should fill the form and share it with the new employer. This will help the employer dedicate a tax code and accordingly cut taxes when they make their first payment. The employer will use this information to send a Full Payment Submission (FPS) to HMRC telling them about the payment made to employees and what deductions have been made. The FPS should be send by the employer before making the first payment to the new employee. Payroll software should be used to do the same. There are four parts to it – employee information, employer information, pay and deductions and National Insurance Contributions. FPS determines how much national insurance should be paid by the employer on behalf of the employee. This list consists of three sections – Employee’s personal details, employee’s statement and Student loan. Section 1 – The employee should share their personal detail like name, address, contact number and national insurance number. Section 2 – You have to select one option out of three where you have to furnish detail as to whether you were having a job or not before 6 April of that year and whether you were receiving Jobseekers Allowance or Employment and Support Allowance. Section 3 – Student Loan– In this, you need to share details on loan type, loan date and whether you have repaid the loan amount or not. This form should not be sent to HMRC. The employee should only share this with the employer who will use this information for Full Payment Submission (FPS).